The Bitesize Irish Podcast is a free show in English for anyone interested in the Irish language, and Irish culture. Do you want to get notified every time when we publish a new Bitesize Irish Podcast episode? By subscribing to this podcast, you will automatically receive the latest episodes downloaded to your computer or portable device every week. Select the subscription method below that best fits your lifestyle. From 2016 to June 2018 the Podcast took a break because the format wasn’t sustainable. During that period, we published an episode re-run for you at 8am GMT (3am EST) every Thursday (every episode is full of motivation). Starting with June 2018, we restarted the podcast. New episodes are being published at 8:00 AM Irish time, every second Wednesday. 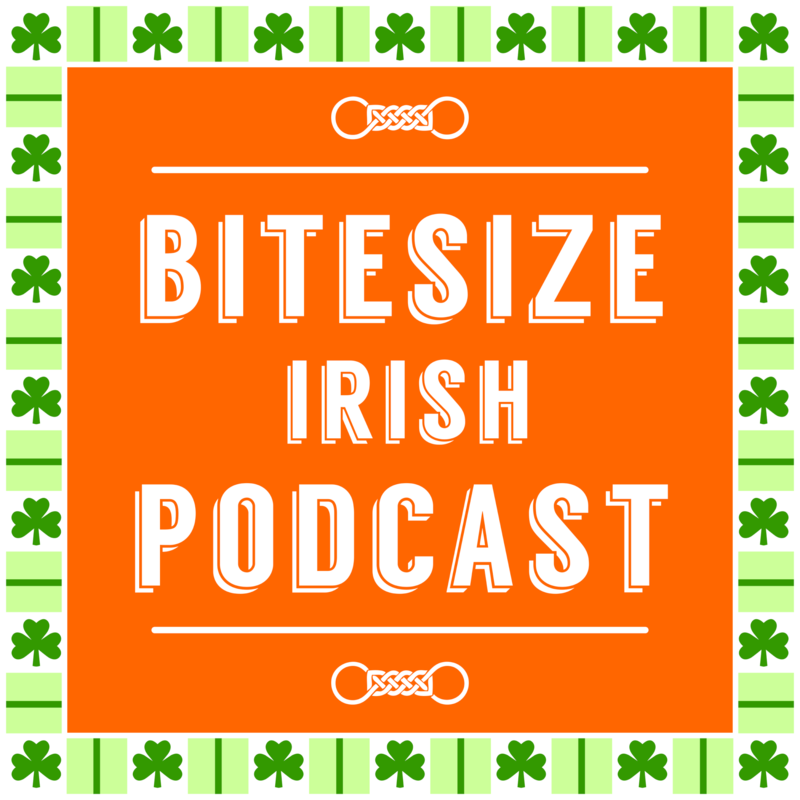 We brought the Bitesize Irish Podcast to Spotify so it can be accessible to even more people. You can listen to it by going to the Podcast page on Spotify.com or just search for us in the Spotify web player or iOS & Android apps. We brought the Bitesize Irish Podcast to Stitcher so it can be accessible to even more people. You can listen to it by going to the Podcast page on Stitcher.com or just search for us in the Stitcher iOS or Android apps. Each shownotes page is dedicated to an episode of the podcast. There, you’ll find extra information mentioned in the podcast, and you can reply with a comment.